Term 2 is starting and it's NAPLAN time for those in year 3, 5, 7, and 9. Doesn't mean we shouldn't have fun on weekends though. Work-life balance. Mob events are happening more and more and if you'd like to join in one, this is your chance. This one is a safe and easy one to participate in, the idea being anyone can dance together in this public event (dancing skills not required) and you could even suggest your favourite song by posting on social media using the hashtag: #triggersong. All nominated songs will be included in the playlist on the day. I always think table tennis or ping pong is a good activity to have at any time. 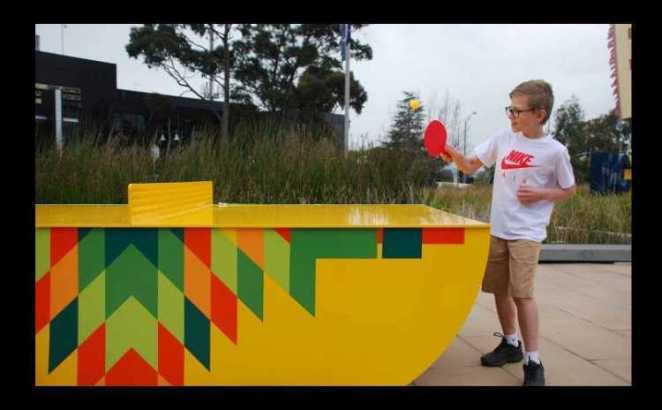 Up to four people can play, so it's intimate, fun, relatively easy to learn, and yet with endless possibilities of improving your skills (watch the Olympic table tennis if you would like to see what level daily practice can bring you to). But not many people can have the luxury of their own table tennis at home due to space constraints. The next best thing then would be to head to the public ones, although unfortunately bats and balls are often in short supply. Luckily for us, this one provides bats and balls for us to borrow, available from the City of Perth Library during their opening hours. Table bookings recommended but not essential at https://bit.ly/2GOw34g. City of Subiaco has two parent information sessions scheduled this month. Although these sessions are for parents only, I still think in the end it would benefit the whole family so they are family-friendly events as such. Registration is required separately for each and they close about a week before the session, so do your registration early if you're interested. Links below. The first one is Coping with Anxiety at the Subiaco Community Centre, 203 Bagot Road, Subiaco on Monday 7 May, 7-8.30pm. This is targetting parents of youth aged 12-25. We may think they have life easy compared to us older folks but apparently, still quite a lot of them have anxiety issues. Register here. The second session is titled Building Resilience. It's scheduled to be at Rosalie Primary School, 101 Onslow Road, Shenton Park on Tuesday 15 May, 7-8.30pm. This session is more general to parents of children of any age and hopefully if we build their resilience early then we don't have to worry about anxiety issues down the track. Register here. Have you been to a public library lately? Did you search for and/or find any feather-shaped bookmarks hidden in children and young adult books? If yes, you're already enjoying the Scribblers Festival which will culminate in May. The Family Program is scheduled for the weekend of 12-13 May and there are several locations around Claremont Town Centre to host the many activities they plan for the day (see map). As the festival name suggests, the activities are mostly related to literature, either writing, illustrating, storytelling, or the likes. They have quite notable authors/ illustrator to lead the sessions, for example, Levi Pinfold (the illustrator of the 20th anniversary editions of Harry Potter books) will be calling all 'members' of Griffyndors, Hufflepuffs, Ravenclaws, and Slytherins to join him at the Potter Pavilion on Saturday 12 May from 12 to 12.40pm. Another example is on Sunday 13 May 11-11.40am, kids can get some tips about Comic Action from James Foley (illustrator of many books including 'The Last Viking.') You can download the full program for the festival from their website. 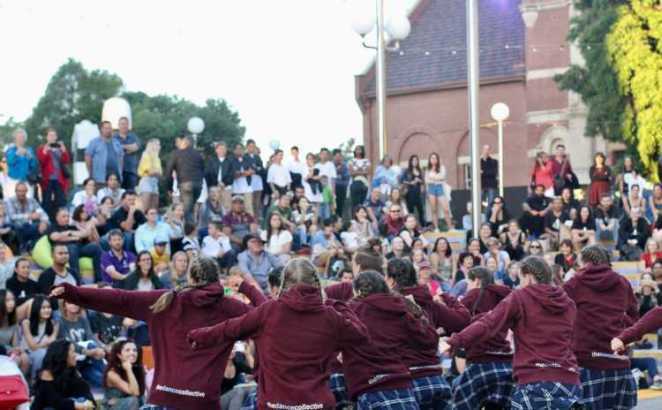 Shelley Foreshore is already a popular location for family picnics and events including the annual New Year Day concert, but City of Canning is milking it for all its worth, starting a brand new event this year celebrating movement. Activities are selected and designed to make you move, such as biking, rockclimbing, races, yoga, paddling, frisbee-throwing, and dodgeball. Sounds like a fun way to get our dose of exercise. Website: Various, links provided in the article. Where: In and around Greater Perth.